Djia Index continues growing up, the price is forming an impulse inside wave . The current chart structure implies that the instrument may continue growing up. 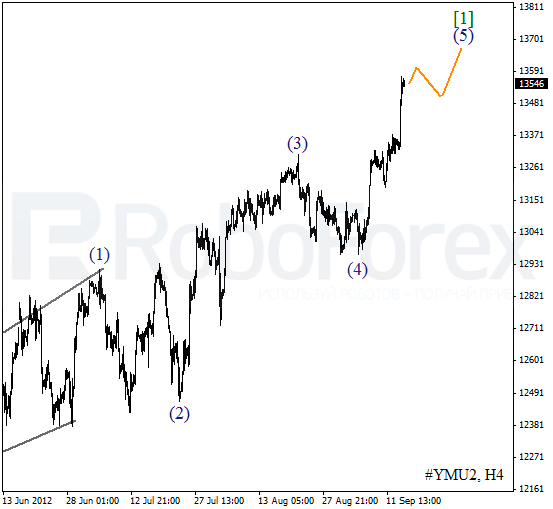 There is a possibility that wave (5) of  may be completed at the level of 13700. 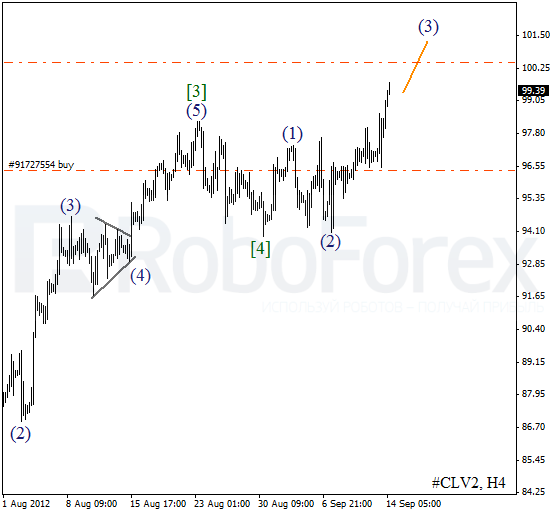 As we can see at the H1 chart, the price is forming an extension inside wave 3 of (5). Earlier wave (4) was finished in the form of zigzag pattern. In the near term, the Index is expected to continue growing up and form wave (5). Yesterday the price broke the local maximum, thus confirming the formation of an impulse inside wave (3). Most likely, in the nearest future the instrument will continue moving upwards. After Oil reaches the level of $100 p/b, the price may start a corrective movement. 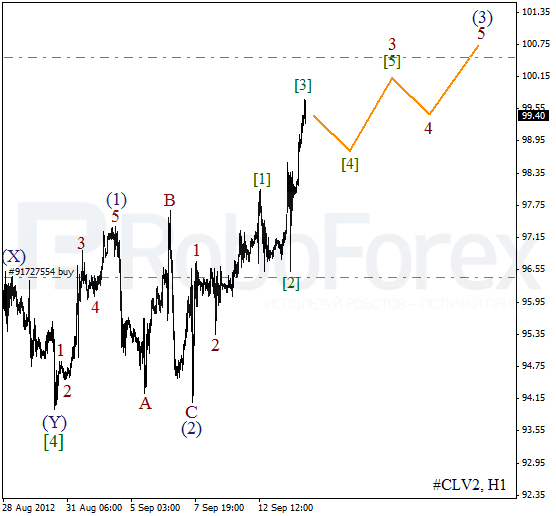 At the H1 chart Oil is forming an extension inside wave 3 of (3). 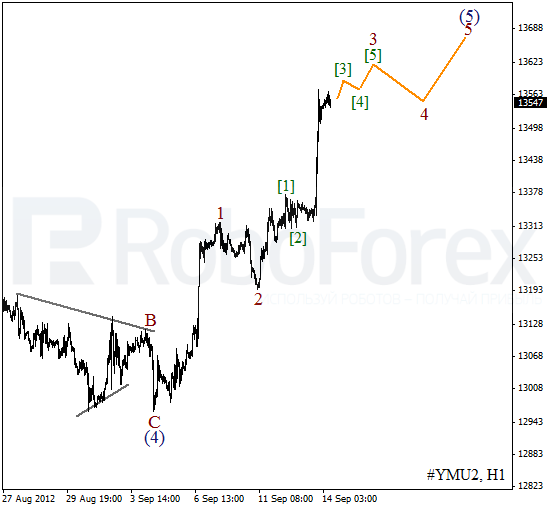 There is a possibility that the price may start a corrective movement inside wave  during Friday. Later we can expect the instrument to continue moving upwards inside wave  of 3.